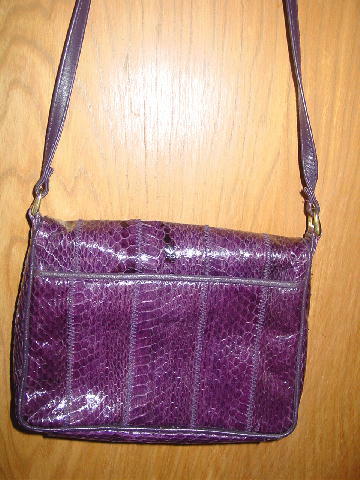 This purple vintage snakeskin purse is by Ganson and was made in Hong Kong. It has an envelope styling with a 39" long by 7/16" wide adjustable shoulder strap. The back has a 3/4" high full width open compartment with a faux leather black lining. Under the lid is a magnetic snap closure and a 3/4" high compartment with the faux leather black lining. The center section of the purse has an open full compartment, and behind that is a large side to side top zippered pocket, then another open full compartment, and then a back medium size zippered pocket. All of these have a full black faux leather lining. 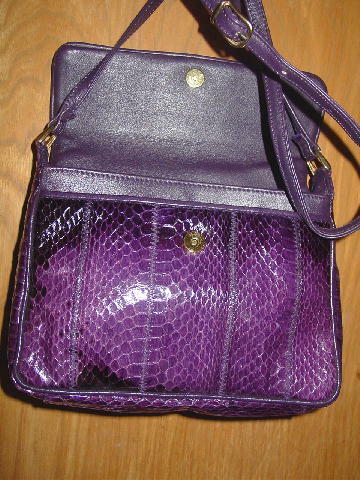 The interior of the front flap is purple. 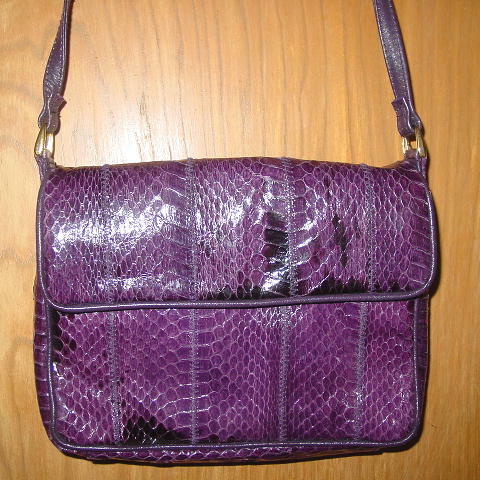 The very nice snakeskin is in various shades of purple. Because the color is striking, the purse can be worn into the evening.